How do you tell the story of a life in a body, as it goes through sickness, health, motherhood? How do you tell that story when you are not just a woman but a woman in Ireland? In these powerful and daring essays Sinéad Gleeson does that very thing. All of life is within these pages, from birth to first love, pregnancy to motherhood, terrifying sickness, old age and loss to death itself. Throughout this wide-ranging collection she also turns her restless eye outwards delving into work, art and our very ways of seeing. In the tradition of some of our finest life writers, and yet still in her own spirited, generous voice, Sinéad takes us on a journey that is both uniquely personal and yet universal in its resonance. Here is the fierce joy and pain of being alive. 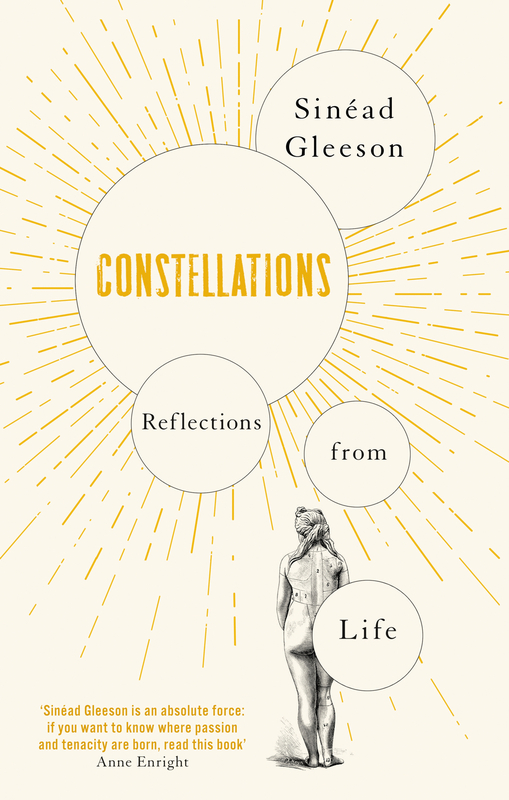 You can pre-order a copy of Constellations online from the following retailers in advance of the April 4th release date: Amazon, Waterstones, Dubray, Eason, Kennys.ie, Foyles, and from independent bookshops, including The Gutter Bookshop, Charlie Byrnes and No Alibis. Friday May 24th at Norfolk and Norwich Festival with Aida Edemariam. Sunday June 2nd, performance at the Hugh Lane Gallery, Dublin with composer Stephen Shannon.